Zinc Topped Spanish Shop Counter - Original House – Decorative Antiques, Vintage Industrial Furniture and Lighting, Cotswolds. We sourced this oak shop counter in Catalonia, Spain. We believe it to be circa 1900 with the pinned zinc top having been added more recently. The original, very naturally distressed paint, has been given a stiff brush to remove any flaky bits and then the counter has been lacquered to fix this wonderful patina. 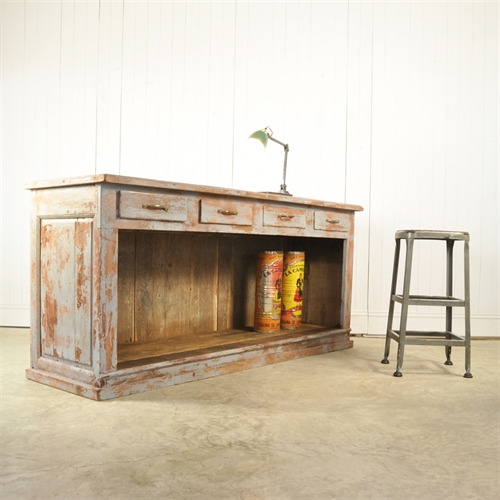 All the drawers pull easily and it is in good structural condition for its age.